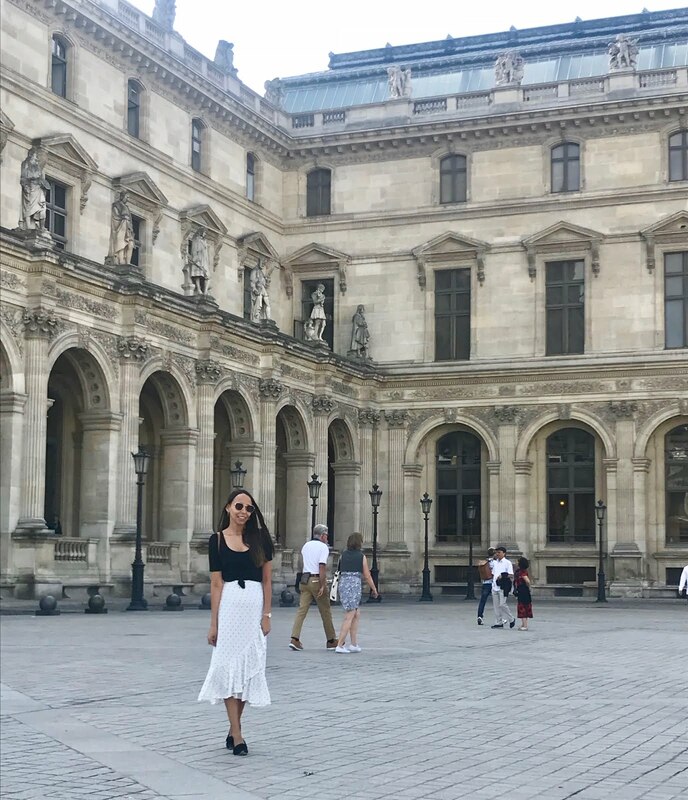 Since we traveled to Paris in a group of six we all felt we needed a light itinerary, attempting to pinpoint what everyone wanted to do most. The itinerary is written as note to our family so please excuse the causality of it. We did not make it to everything on this list especially the extensive list of restaurants and bars but we did scratch the surface. I'm still editing photos from the trip and trying to recall the steps of each day and should be getting the post, about what we did do, up on the blog soon. 9/19 We arrive Paris around 5pm but still need get to the hotel, The Hilton Opera and check in. Our hotel is about a 25 minute walk to the Eiffel, a 15 minute walk to the Louvre and a 30 minute walk to the Arc de Triomphe. The Gare Saint-Lazare metro stop is located inches from our hotel, but my suggestion is to walk most places. We have dinner reservations this evening at Chez Delphine at 7pm. 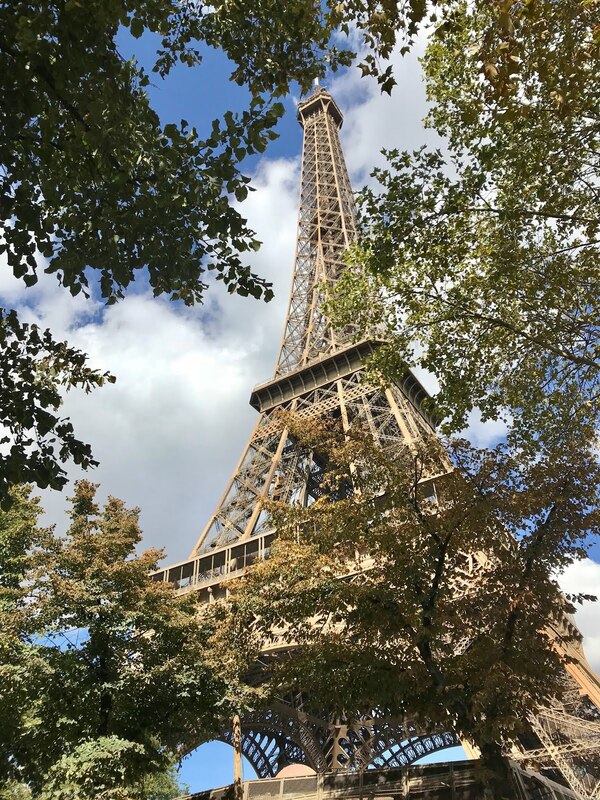 We won't have much time to do anything after checking in and before dinner but after dinner we could head down to the Eiffel or take a river cruise. 9/20 Rise and grind! I'm hoping we can get up early and head to the Jardin de Tuileries, which is in front of The Louvre, stopping at the Place Vendome on the way. The Louvre opens at 9am and I've read that the lines get longer later in the day, early bird sees the Mona Lisa. After The Louvre we could go to the Orangerie Museum and the Musee d'Orsay. Then we could walk over to Ile de la Cite and Notre-Dame. Then cross the river to shops and restaurants for a bite to eat and stop in Shakesphere and Company Vintage Bookstore. The Pantheon and the Le Jardin du Luxembourg are just a little further south if we still have time and energy for more sites. If we wanted to rest instead of walk we could take a river cruise or take an Uber back to the hotel stopping at the Arc de Triomphe. This would be a full day of sightseeing. We have dinner reservation at Alain Ducasse au Plaza Athenee at 730pm. This restaurant is super fancy so we will need plenty of time to get cleaned up and presentable. 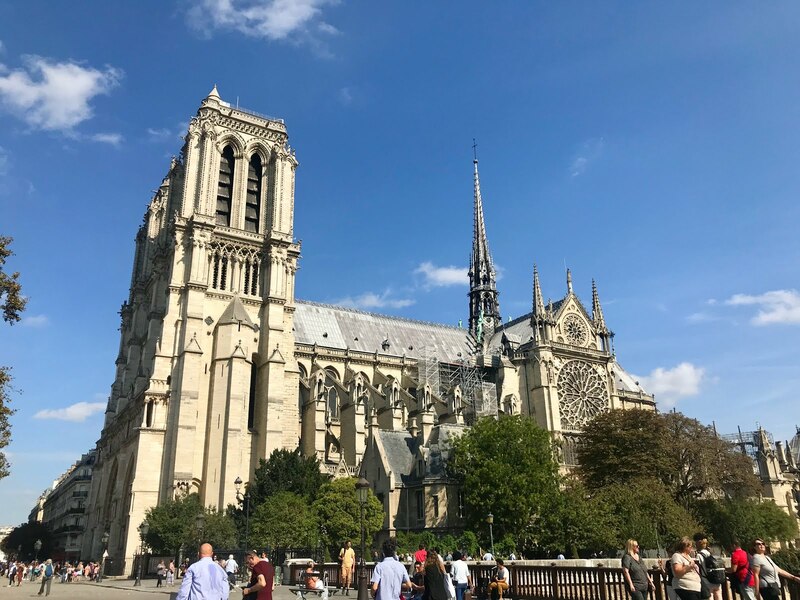 9/21 I thought today would be a great day to wander leisurely and see a couple great neighborhoods in Paris. 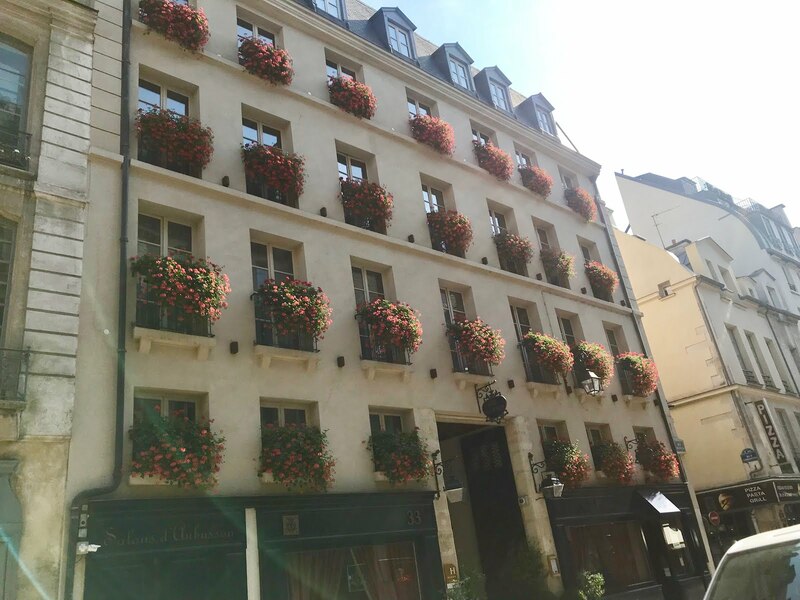 We could start in Le Marais, which is next to the Latin Quarter, known for being artistic, trendy but also historic. Then we could cross the Seine on the Ponts de Art bridge (think love lock bridge) and head to the neighborhood of Saint-Germain-des-Pres. This area is known as one of the most picturesque areas with tons of shops and cafes. It is also not too far from the Musee Rodin, which I would love to walk around. As we head towards the hotel we can stop at two department stores which are famous in Paris and both have rooftop terraces with amazing views of the city. Galeries Layafette and Printemps. Before dinner we could stop at Bar Hemingway for a cocktail. We have dinner reservations at Tomy & Co at 730pm. 9/22 This is the day to play catch up. 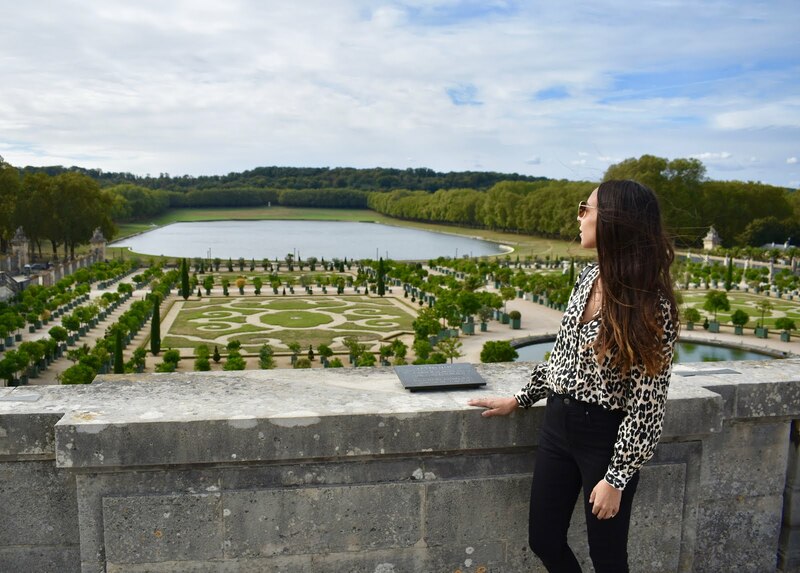 My idea would to be to head out to the Palace of Versailles (early) for the first half of the day. It takes about 45 minutes to get there by car, Uber. We could spend the second half of the day in Monmartre, see the Sacre-Coer and wander around. We have dinner reservations in Monmartre at 645pm at Le Lamarck and we are seeing the 9pm show at the Moulin Rouge.